The Options Committee of Making Kenora Home has gathered members of Young Professionals Network of Kenora to take the poverty challenge. Participants have been asked to attempt to stay within a social assistance benefits’ budget. The challenger’s budget of $55 for five days includes all food and drink, entertainment, some personal supplies and transportation costs. Each participant will be given a daily challenge card, which will reveal an additional challenge to be completed before the end of each day. 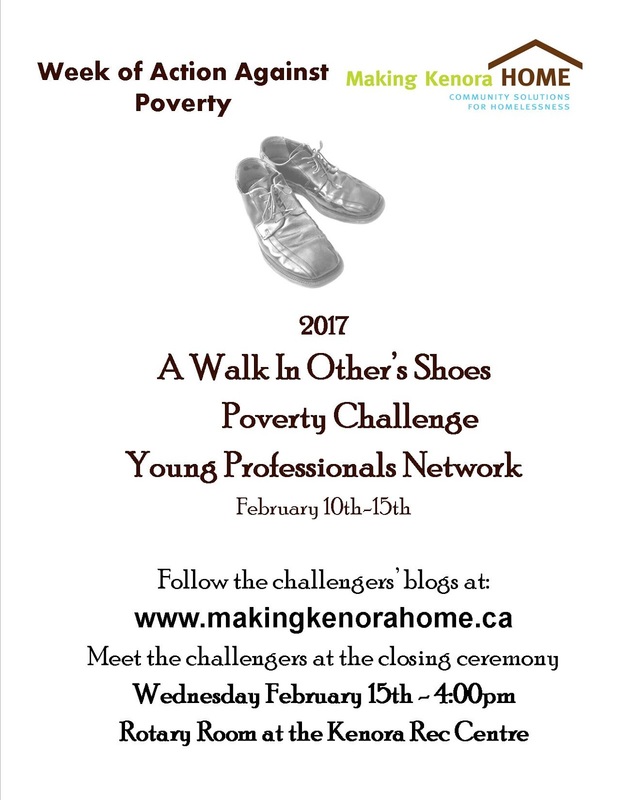 The challenge takes place February 10th until February 15th, 2017. The Poverty Challenge is now over. This year's challengers were amazing people. During the wrap up event they chatted about their experience. They talked about the difficulties they experienced along with some of the amazing and heartwarming times of the challenge. The challengers were asked to share one thought of what the challenge taught them. Check out the videos attached. Thank you for following their blogs and please share them with others. 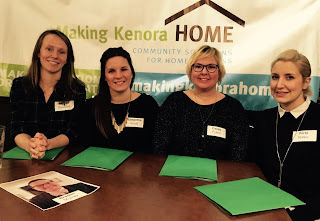 Thank you to Braden, Kirsi, Casey, Sam and Megan for sharing the past five days with us. The challengers have been out and about over the weekend. If you see them, take the time to chat with them about their experiences. 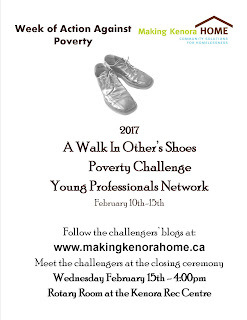 They will continue to blog until the end of the challenge on February 15th. Keep checking for their daily updates. ... and they are off. Tomorrow will be the first day of the challenge. We kicked it off by presenting the participants their challenge cards at a full house of Young Professionals. 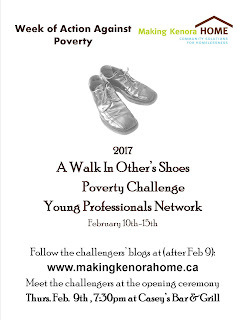 Welcome to the main blog page of the Kenora Poverty Challenge. To follow bloggers, click on the links below.